What do you do on an 18 hour flight? We are well into 2015 and I am so excited about all the projects that are coming into full effect lately. I must admit with the kids being on so many different schedules, it’s been a serious challenge to keep everyone on track. Recently, my 2 year old broke his collarbone, he is healing well 🙂 , however with his follow up appointments and appointments for the other children I’ve been hardly able to keep up! I’ve been constantly checking my phone, setting alarms, but I still have that feeling I’m forgetting something even though I’ve checked and re-checked my upcoming events. I was sitting in the waiting room for my son’s appointment, surrounded by people with broken bones, listening to the receptionist booking appointments and watching people bringing out their phones and/or taking a handwritten appointment cards. In a world full of electronics and paperless everything, I knew in that moment I was not completely sold on the electronic planner. I’ve carried around a paper planner for as long as I can remember and I attempted to go completely on the use of my phone while I was still searching for last year’s planner replacement. Sadly, I shopped in Staples, Walmart, Target, Chapters/Indigo and couldn’t find what I needed. There were planners there, but all of them either looked to businesslike, too plain, or just boring. 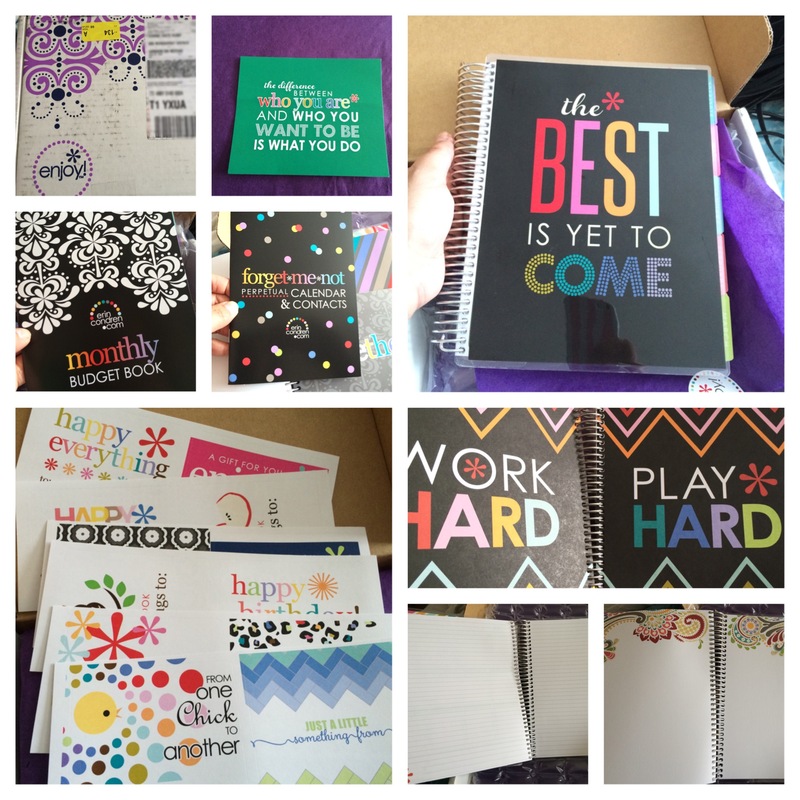 So into the world of online shopping I went and I found the Erin Condren life planners. The website is very clean and simple and very easy on the eyes. The fact that I could personalize my own planner, my own stationery, etc. made my decision to order one that much more fun. 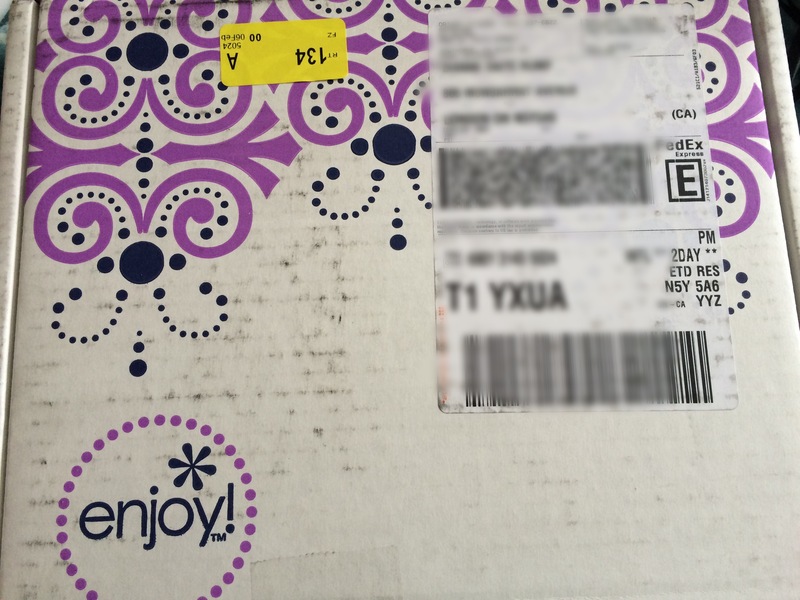 I ordered my planner on Friday, January 30, 2015 and I received it on Friday, February 6! Considering I placed my order late Friday night, I wasn’t expecting to receive it so soon. They provided a tracking number and of course I stalked it, but I was still surprised to receive it in the mail. The packaging was so nice, mostly because my favourite colour is purple lol, but when I opened it the surprises just kept coming! I have been working with my planner and also letting my creativity spill all over the pages! For those of you who enjoy expressing yourself on paper as well as keeping yourself organized, I highly recommend these planners. I ordered the “Quick Ship” planner so I could receive it right away and opted to personalize it after I received it. So far, I ordered a personalized removable and interchangeable cover, some personalized address labels and some attachable clips. My mind is finally at peace and I can work with both my phone and my planner and I don’t feel as lost as I used to. I’ve provided the website link as well as a coupon code for $10 off your first order for those who are interested in ordering some of their products. These will also make a great gift for those who are looking for something customized and unique for someone special. You won’t be disappointed! I love your planner!!! It’s so colorful and Wesome.